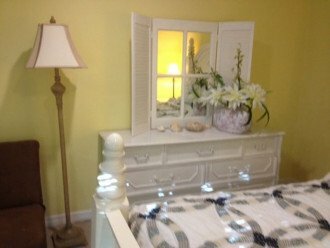 We have been renting ocean front vacation rentals for over 12 years. We purchased this very special and adorable cottage just steps from the beach and we spent tens of thousands of dollars renovating it back to it's former glory. 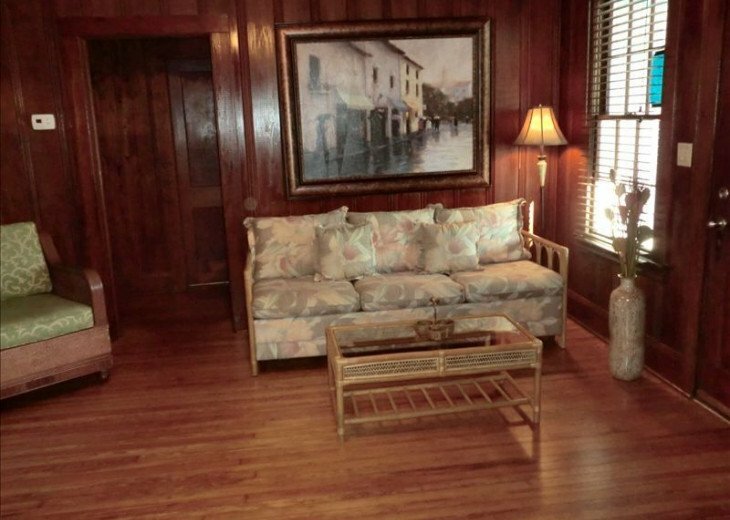 We pride ourselves on providing an enjoyable relaxing vacation experience with nice furnishings and a beautiful setting and as a result we have many repeat customers that come back year after year. 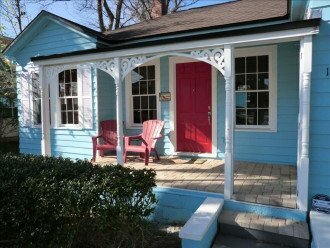 This very rare and adorable 1934 beach cottage has been beautifully restored to its former glory days. 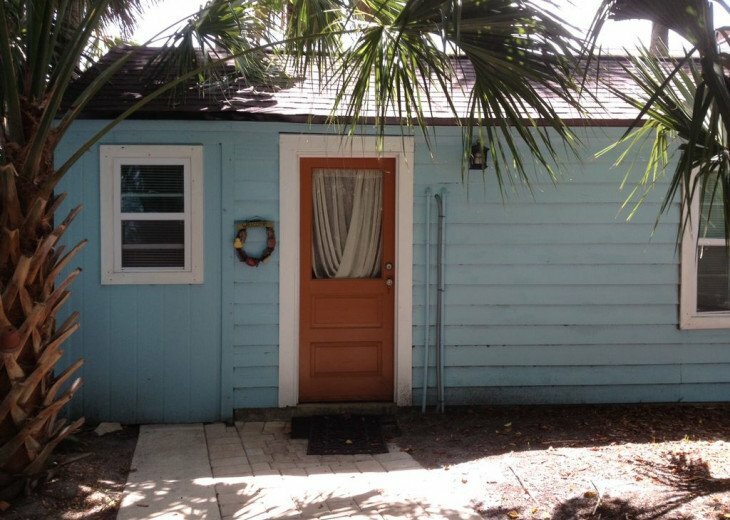 We have named it K&J Casita Del Mar which stands for Kirk and Jean's little house by the beach. 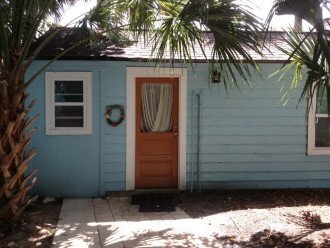 It is located in the heart of Jacksonville Beach and only steps away from the ocean. 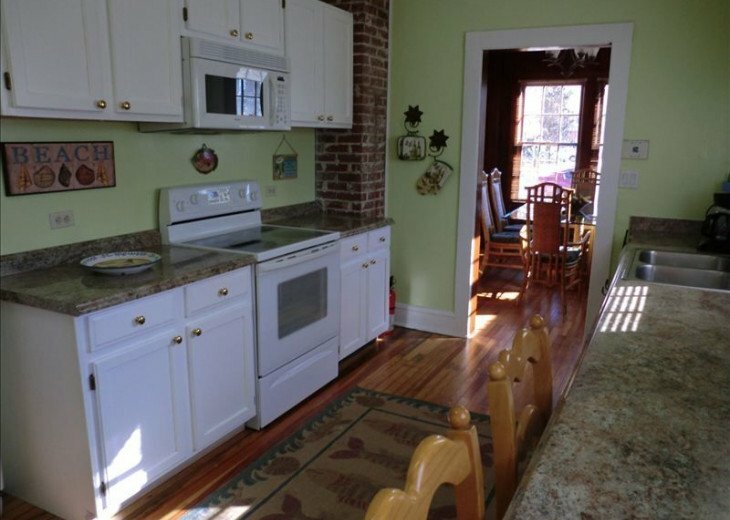 It is easy walking distance to many shops, festivals, bars, clubs, and restaurants. Everything is right there. And we are only 10 minutes away from the famous Mayo clinic and 15 minutes to the PGA Tour Headquarters and famous TPC Sawgrass Championship golf course with its new $80 million dollar club house and the annual PGA Tour Players Championship Tournament. 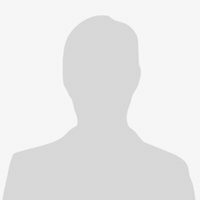 We are also just 30 minutes to beautiful St. Augustine, FL the Nations oldest city and a major tourist attraction in its own right. Our cottage is suitable for just one couple, several couples, or a an entire family getaway or family reunion. For a smaller wedding, why not have your wedding on the beach and your reception at the Cottage. We have a huge private backyard, one of the largest at the beach where you can simply relax or even have your breakfast, lunch, or dinner in the privacy of your own backyard. Check us out on Google Earth or Google Maps and you will see how close we are to the beach. We have a limited supply of beach chairs for the adults, and even beach toys for the kids. 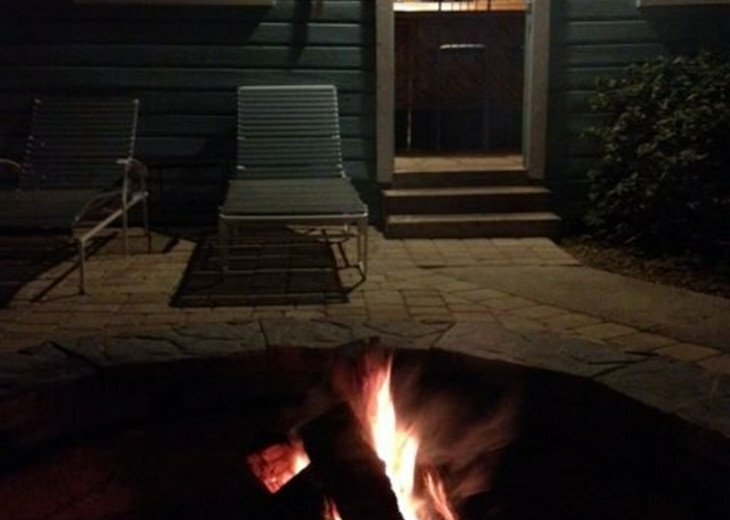 We also have a beautiful fire pit for those chilly evenings or for a good old fashioned campfire like the old days. 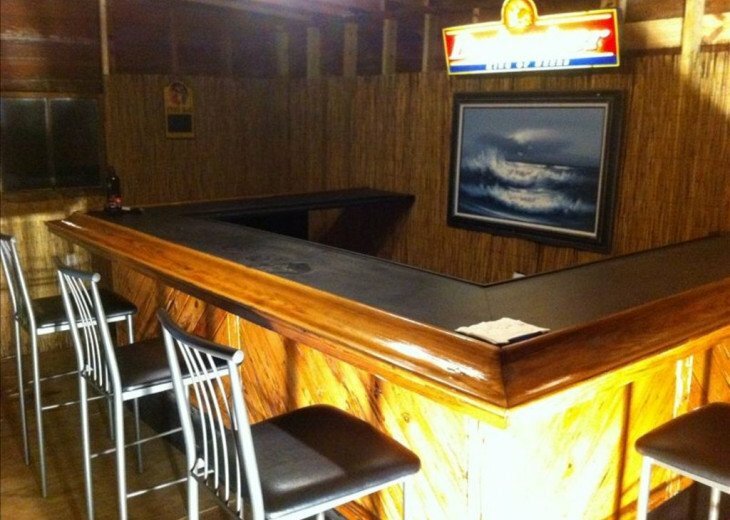 And of course don't forget our very own Tiki Hut / Bar in the backyard too. This is the perfect vacation getaway location. Because we are in a residential neighborhood we simply ask you to respect the neighbors at night with common courtesy and the fact that they have to go to work in the mornings while you are on vacation. 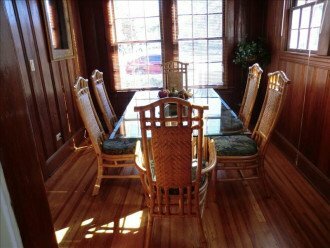 We furnished this adorable cottage with nice furniture such as a rattan dining room set, and rattan living room furniture and we decorated the place like a home. 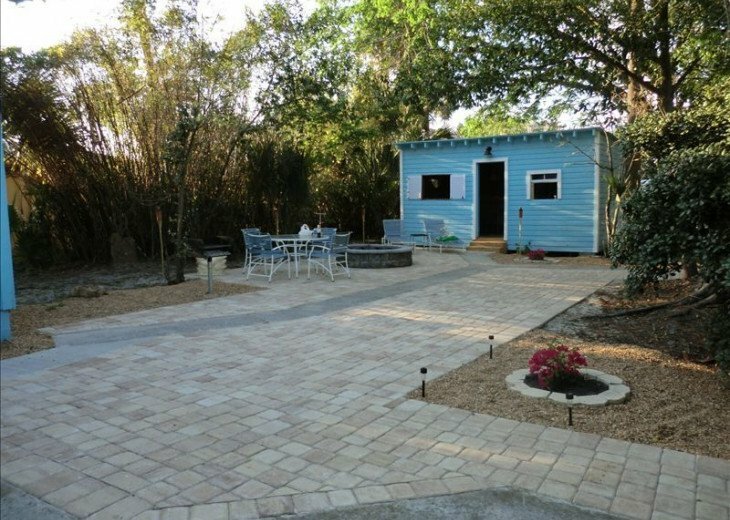 You will feel it's your home away from home the moment you walk into this adorable cottage. 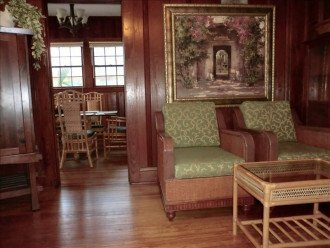 The cottage still has original beautiful wood walls and wood floors almost throughout the entire house. 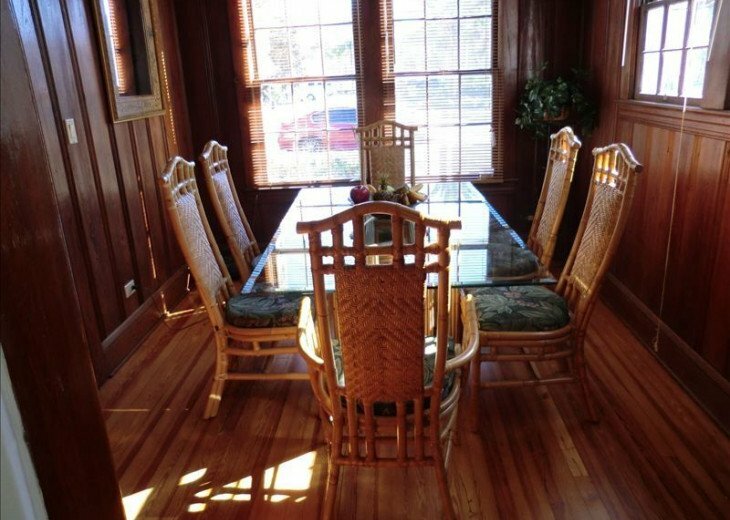 The walls and floors are absolutely beautiful after our refinishing. Our kitchen is stocked with cookware, dishes, utensils, glasses, and of course campaign glasses to start your vacation. The side-by-side fridge has ice and water in the door. You may just find yourself eating out in the terrific local restaurants within 5 or less than 5 minutes walking distance, or you'll appreciate the microwave and coffeemaker for your convenience too! Plus, you can also put something into crock pot and the food will be ready when you come back from beach. If not, you can throw chicken/steak/hamburger, etc. on the BBQ grill and enjoy your family picnic at the backyard. We recently added a cute surf board outdoor shower so that you can take a warm shower to rinse off all the sand. 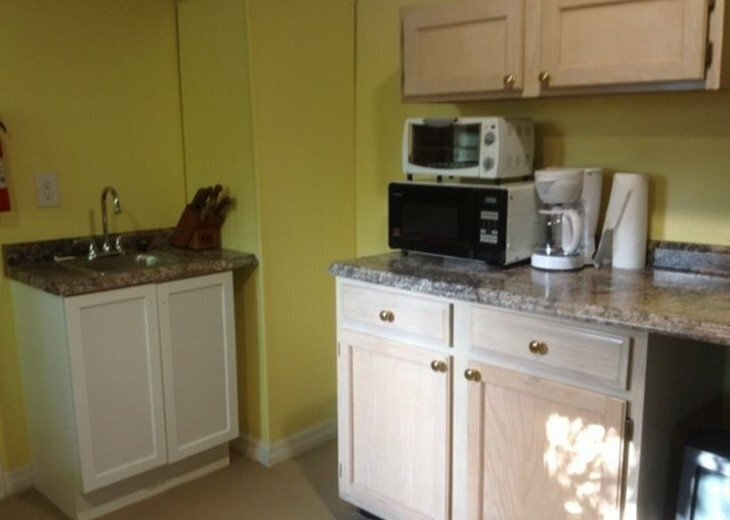 A laundry room is equipped with washer, dryer to makes longer trips away from home easier. 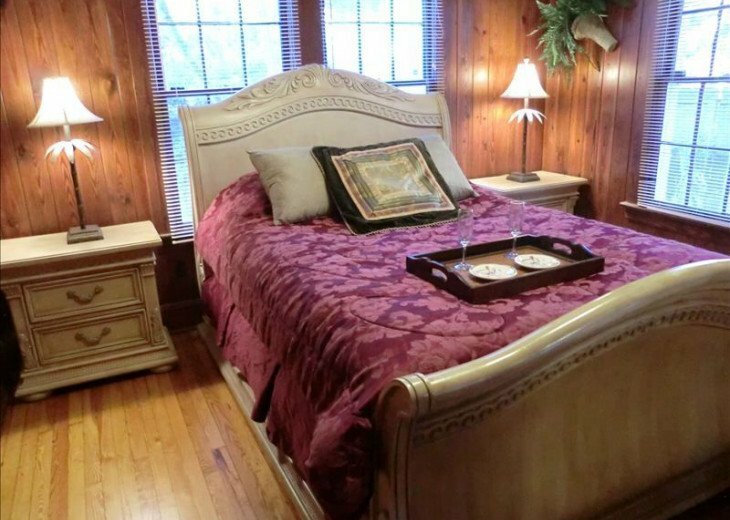 Sheets, liens and towels will also be provided. 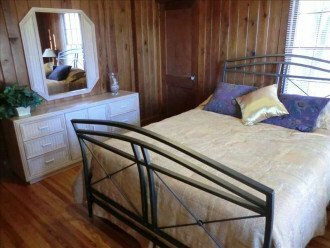 The cottage is also furnished with HD TV , Blue Ray DVD player, and boom box for your quiet time. W also provide WIFI internet service too, just in case you want to stay in touch with family/friends during your stay. Inquire with any questions or better yet, book it now and we are sure you will fall in love with it. We did. 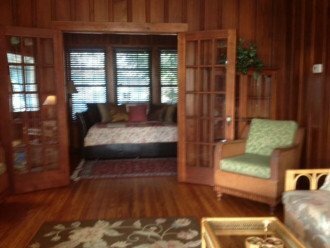 ** You have option to add our new addition for another 1 bedroom studio to have total 4 bedrooms and 3 baths and can sleep up to 11-12 guests or only book the 3 BR/2 baths for the main house only. 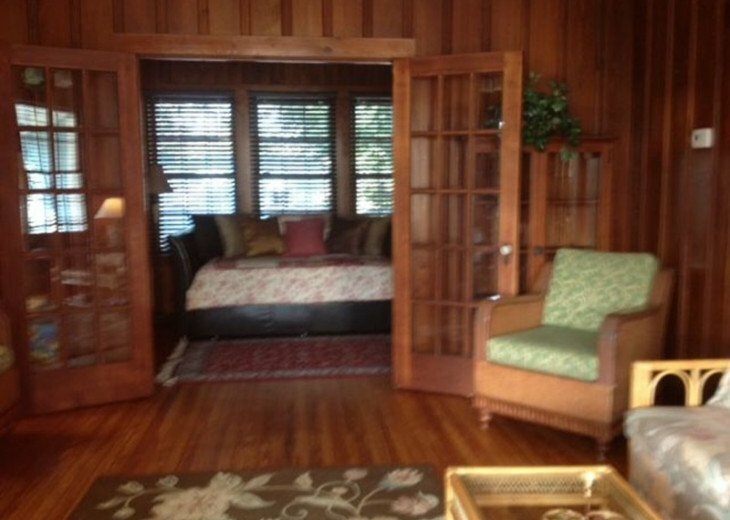 As of now, we do not rent suite out separately so it stays empty if not rented. Keywords: KJ Casita Del Mar is a very rare and adorable 1934 beach cottage which has been extensively renovated. 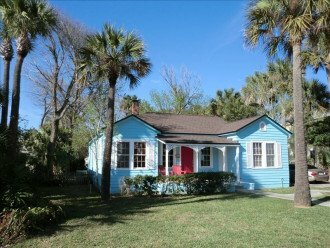 It is located at the heart of Jacksonville Beach just steps from the ocean ( walk past one house ) and across from Ocean Park. Modern central air and heat, modern kitchen and bathrooms, but absolutely beautiful restored wood floors and walls throughout the cottage. 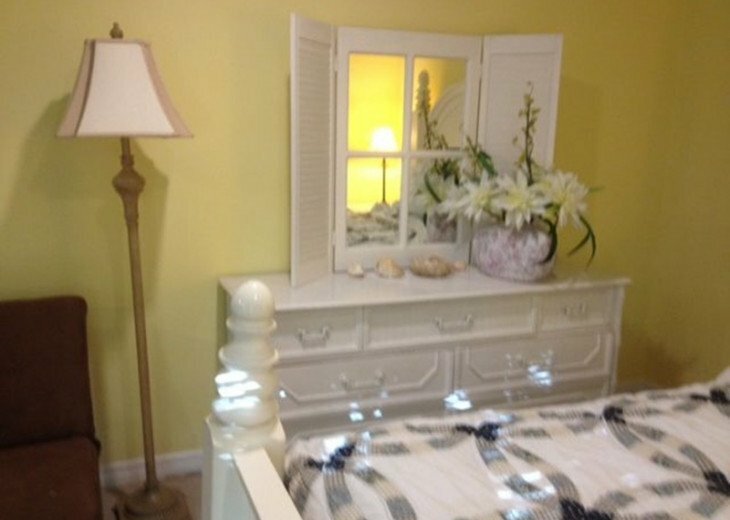 Our cottage is within easy walking distance to many shops, bars, night clubs, and restaurants. Everything it seems is within a few blocks of the cottage. 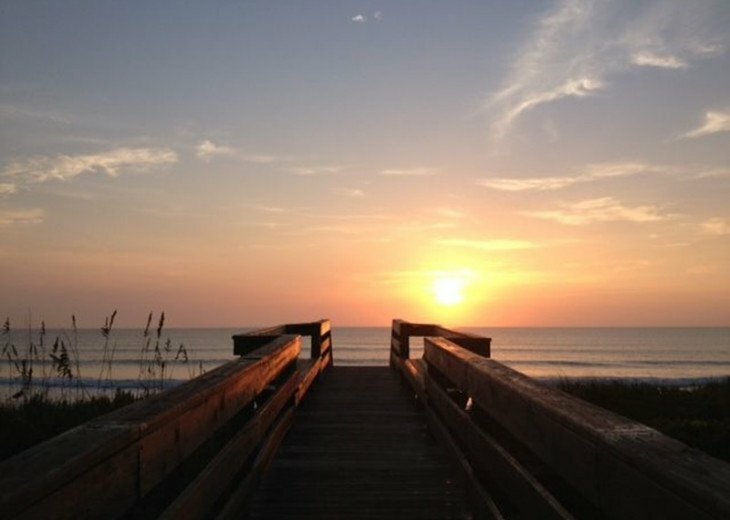 Since it is at the heart of Jax Beach, you can walk to all the events and festivals within a few minutes without worrying about finding or paying any parking. 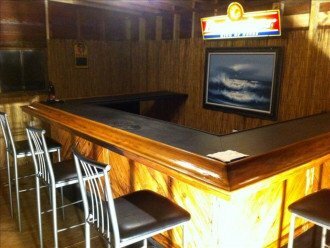 Or simply relax enjoy your own very large private backyard with built in Charcoal Grill, or warm yourself next to the large stone firepit and also enjoy our completely detached Tiki Hut and 14' Tiki Bar located inside which can be locked and secured depending on family preference. You control the key. Family and friends stayed here over New Years weekend. 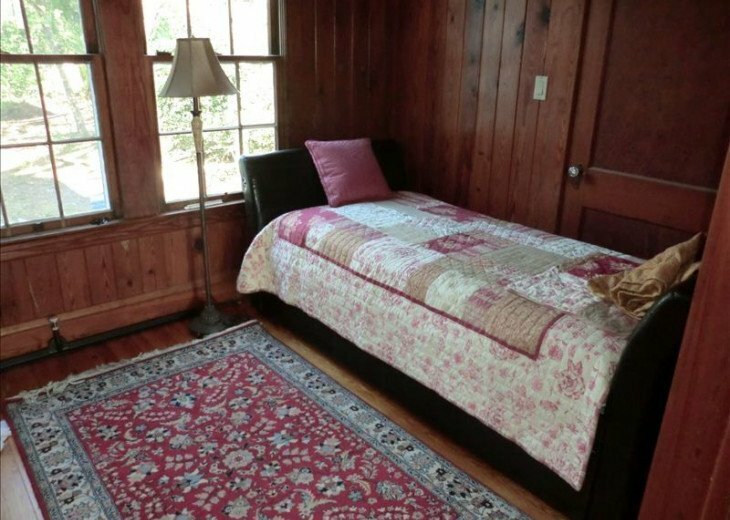 It's a cozy house, lots of space and sleeping options. The outdoor space was great! We used the tiki bar, fire pit and patio for a fun New Years Eve gathering. The access to the beach is also good. 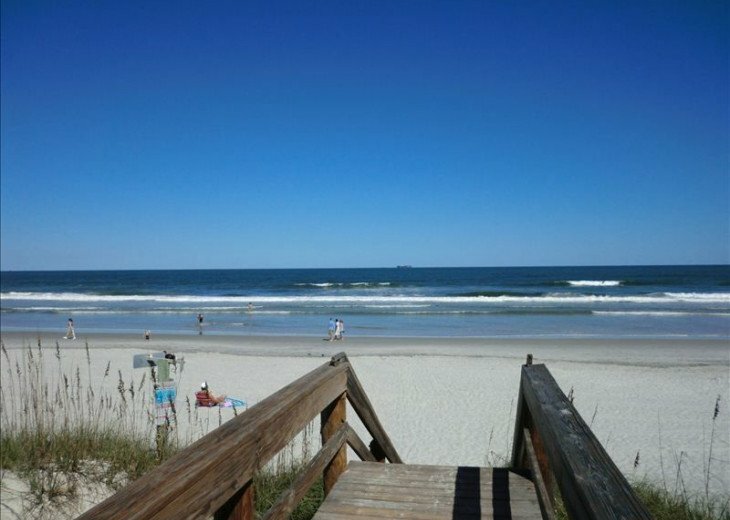 It's a short walk to a beautiful wide Atlantic Ocean beach near the Jacksonville Beach Pier. In addition, our interaction with the Host, Jean was timely and pleasant. We'd do it again! p.s. 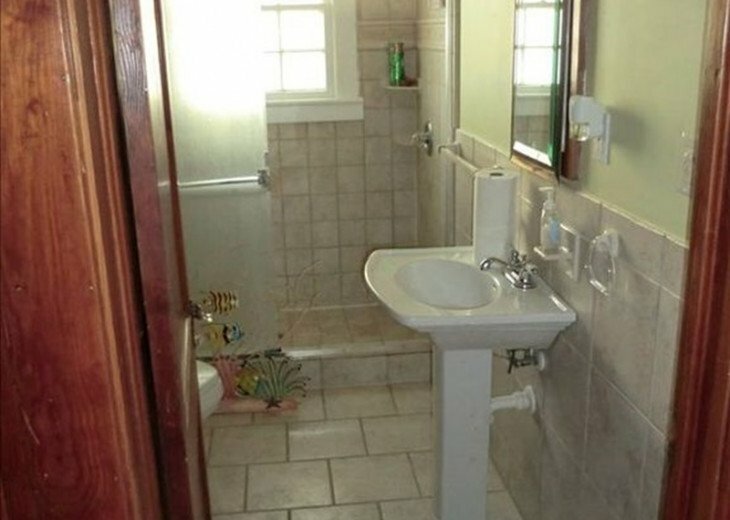 The only reason for the 4 star rather than 5 star rating is that one of the 2 showers in the main house has a quirky plumbing set-up and we all decided to just use only the second shower. Would advise Host get a plumber in to upgrade the shower. 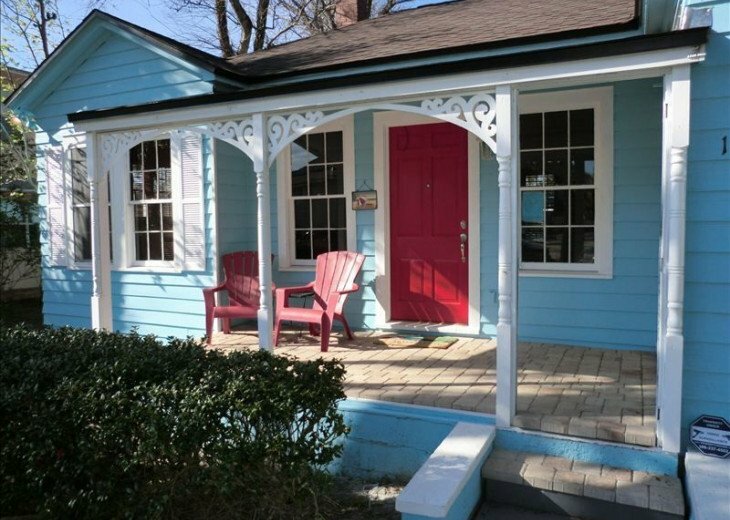 Charming cottage within walking distance to many great restaurants and shops. About a 20 second walk to the beach from the front porch. Nice big kitchen. 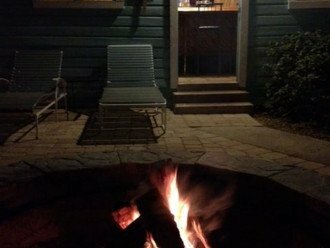 A little cold for sitting outside while we were there but we did enjoy the firepit one night. Owner was very responsive and came to the property on Christmas day to clean and prepare the guest cottage that their cleaning people had missed the day before. Good set up for a large group. The whole property is inviting, relaxing and well maintained. 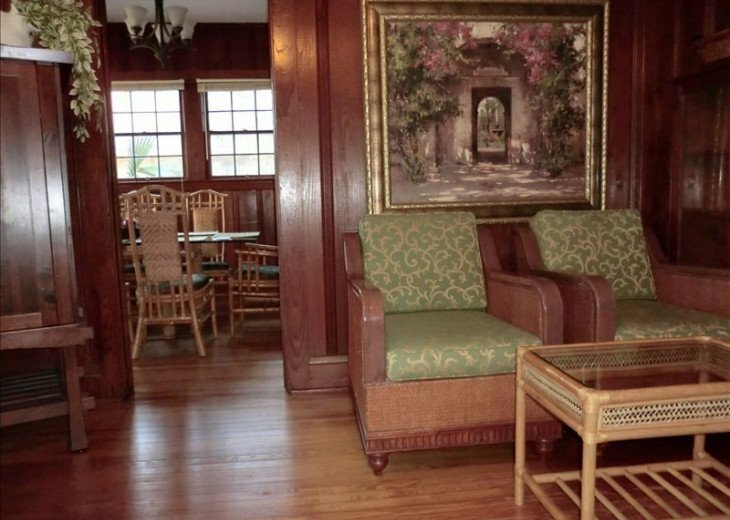 The house is beautifully done and keeps the old beach cottage appeal. Having a separate suite for another couple was a bonus. 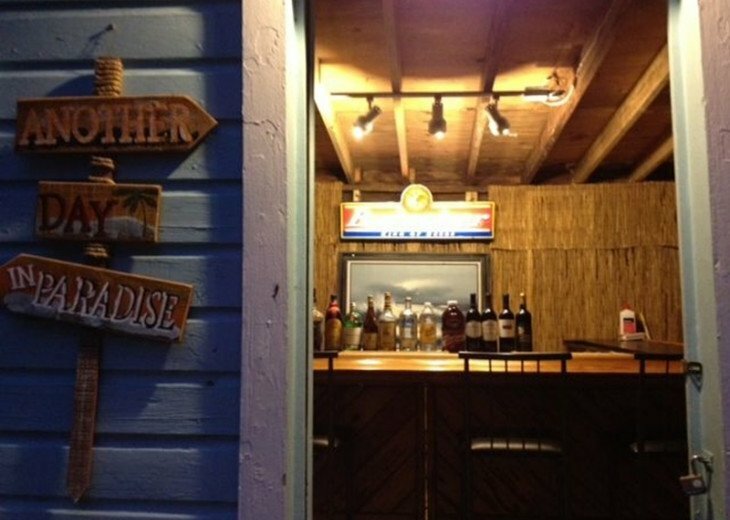 The backyard has a firepit, chairs, table AND a tiki bar! 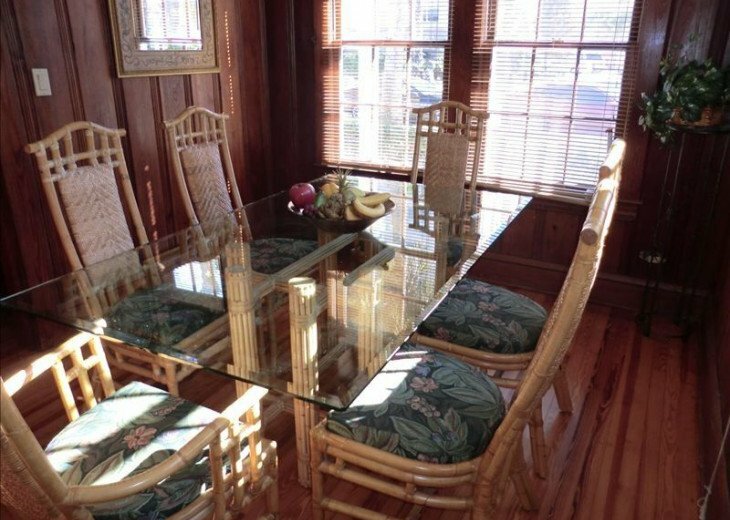 An ideal setting for getaway and walking distance (2 minutes) to the beach. Only 5 blocks to the pier and lots of restaurants and grocery stores near by. Great location! My family was in town for the 2018 Down Syndrome Buddy walk, which we attend every year. 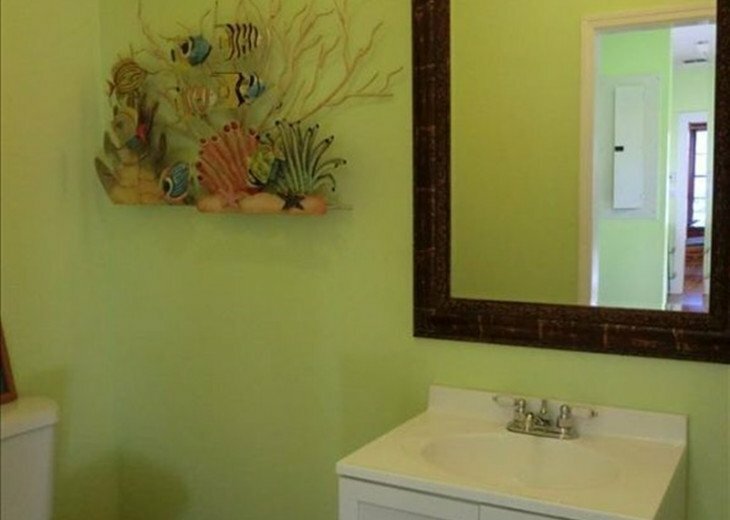 This was the first time we used VRBO for this event and we could not have chosen a more perfect home to suit our needs. It was simply perfect. We prepared all of our dinners at home and enjoyed the beautiful backyard while we ate. In the morning, we woke early enough to walk over to the beach and view the stunning sunrise before we headed next door to the Ugly Cupcake for breakfast. The home was clean and welcoming. I would definitely stay again!